The weeklong workshop kicked-off yesterday, Wednesday 1 February, focuses in strengthening abilities of top referee and fitness instructors from all OFC member countries and provides them with high quality techniques of teaching skills that is consistent throughout world. During the opening ceremony, Tonga Football Association Vice President Mr. Paula Ma’u warmly welcomed the participants and highlights the importance of having good quality instructors. 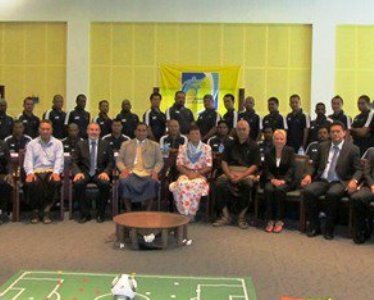 “This course will surely enhance referees performance in Oceania and I hope more support will be extended by FIFA to this region,” he said. 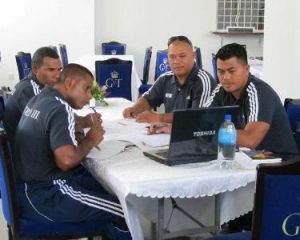 FIFA’s elite Referee Assistance Programme headed by Massimo Raveino of Tahiti and Neil Poloso of Solomon Islands and Kader Touati of France who are members are facilitating the workshop and are assisted by FIFA Refereeing Development Senior Manager, Mr. Fernando Tresaco-Gracia, FIFA Referee Instructor Steve Bennett, FIFA Assistant Development Officer for Oceania, Ms Lyn Shirley and TFA’s Referee Development Officer, Mr. Tevita Vea. A total of 33 participants from all eleven member associations of OFC, Tonga included are taking part in the phenomenal workshop. 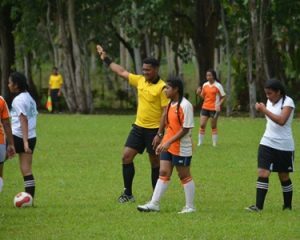 Along with the in-class presentations, referee instructors will be required to demonstrate practical coaching and education skills on the pitch using local players and referees to complete the drills. 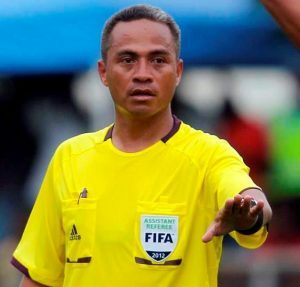 Meanwhile, Tonga Football Association is honoured to play host for the first time and embraces the concept of development of good quality referees for Tonga and the region. FUTURO III is a FIFA funded annual course, which focuses on the education of instructors in the areas of coaching, refereeing, administration and management and sports medicine.